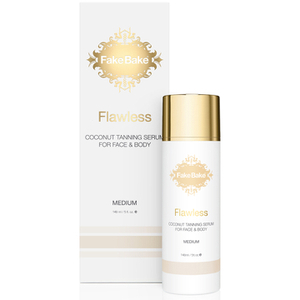 Doing what it says on the bottle, Fake Bake Flawless Self Tan Liquid with Mitt (170ml) gives any skin type a flawless, natural looking tan. The triple-action formula delivers a deep and dark colour, whilst leaving a tropical black coconut scent on skin. 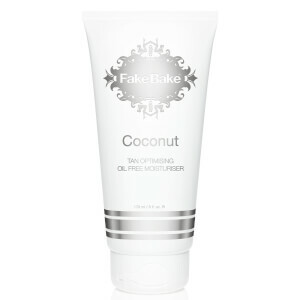 Moisturise dry areas such as elbows, knees and heels prior to tanning. Apply using tanning mitt included. Rinse off in the shower after development time. Smells great. Looks natural. Easy to apply. Only downside is that the tan is quite light looking. But still great. I am very satysfaied with this product! This fake bake is so good. Goes on well no streaks. Great golden tan that lasts about a week. And the good news is it doesn't smell.